Much changed with the Iranian revolution in 1979. The secular, pro-West Shah was ousted, and the Ayatollah Khomeini became the supreme leader of the Islamic Republic of Iran. In Pakistan, meanwhile, General Mohammad Zia-ul-Haq (1977-88), a staunch follower of the Sunni sect of Islam, was dictator. Consequently, a divide between the countries emerged, particularly as Iran sought to spread its revolution to Pakistan, which although a Sunni majority country is still home to a large Shia population. In those years, Pakistan began to drift away from Iran to the Sunni Arab countries of the Middle East, including Saudi Arabia, which by now were major oil exporters. Meanwhile, India was becoming an increasingly contentious factor in Iran-Pakistan ties. Today, while the two countries try not to antagonize one another, they no longer enjoy the same level of cooperation they did in the past. Indeed, as far as Balochistan is concerned, it seems that cooperation is being replaced with competition. Pakistan’s regional posture is India-centric, while Prime Minister Narendra Modi has also enunciated on several occasions a policy of encircling and isolating Pakistan regionally and internationally. Along those lines, India has substantially increased its influence in Afghanistan, and it has recently, too, started stepping up its engagement with Iran. Meanwhile, Pakistan, instead of countering Indian engagement in Iran, is directing its ire at Iran itself. This has further alienated Tehran, which has its own interests to pursue. Rather than showing rage, it is in Pakistan’s best interests to engage Iran in trade and other fields. Indeed, it was doing this as recently as a few years ago, when the Pakistan People’s Party (PPP) held power. One former PPP minister told this writer that during the tenure of former president Asif Ali Zardari, meetings of civil and military leaders from both countries were commonplace. In 2013, when Prime Minister Nawaz Sharif came to power, the attention to Iran fell away. Instead, Sharif’s focus has been very much on Saudi Arabia. This is not surprising. When Sharif was previously ousted from power by former military dictator General Pervez Musharraf, he was forced into exile in Saudi Arabia for a number of years, where he established strong business and family links. 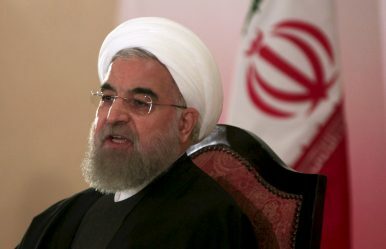 In May this year, Hassan Rouhani was elected for four more years as president of Iran. Fortunately, though he himself is not as conservative as the other presidential candidates, Rouhani does have the support of ethnic Sunni groups in Iran, who see him as a better choice than his more conservative competitors. By and large, Iran’s people want change, hence their support for the more moderate candidate. During his previous term, Rouhani showed considerable interest in trade with Pakistan, particularly with its largest province Balochistan. Indeed, he visited Pakistan for that in mind. Because of the India factor, however, the Sharif government, under constant pressure from Pakistan’s military establishment, was unable to respond to the Iranian outreach. Although Iran and Pakistan did try to improve economic ties, the Saudi-Iran rivalry impeded their efforts on several occasions. “On the one hand, Pakistan considers Iran a potential partner which can help overcome its dire energy needs, and on the other, it does not want to offend Saudi Arabia by getting too close to Tehran. Islamabad, therefore, is trying to balance things out by claiming it wants to bring the Sunni-majority Saudi Arabia and the Shiite Iran closer, but experts say it is a tightrope walk, which could also prove to be dangerous,” wrote Shamil Shams in Deutsche Welle. In 2016, Iran-Pakistan ties took a dramatic turn with the arrest of Indian agent Kulbhushan Jadhav in Balochistan. According to officials in Pakistan, Jadhav was arrested as he attempted to cross into the country’s Balochistan province from Iran. After Jadhav’s arrest, and during Iranian president Hassan Rouhani’s visit to Pakistan, the former director general of Inter-Services Public Relations (ISPR), Lt Gen Asim Bajwa shared the text of General Raheel Sharif’s meeting with the Iranian president. “There is one concern that RAW [India’s intelligence agency] is involved in Pakistan, especially in Balochistan, and sometimes it also uses the soil of our brother country Iran,” read the text. During the meeting with the Iranian president, Raheel reportedly asked Rouhani to tell them [RAW] that “they should stop these activities and allow Pakistan to achieve stability,” according to a tweet by Bajwa. But Iran’s president rejected any claim that the question of the Indian spy agency’s involvement in Pakistan was discussed during his visit to Pakistan. Whichever was the case, one thing is clear: Pakistan is unhappy about Iran’s growing ties with India. Meanwhile, Raheel, Pakistan’s former Chief Of Army Staff, has been appointed commander-in-chief of the Islamic Military Alliance (IMA), a counter-terrorism alliance formed by 39 Muslim countries with its headquarters in Riyadh, Saudi Arabia. The IMA has been dubbed the Muslim world’s NATO, but it pointedly does not include Iran and other Muslim countries with Shia leaderships, like Iraq. Iran views the IMA as a coalition of Sunni Muslim countries against Shia Iran and its other allies in the Middle East. It is unhappy that Raheel is at the head of the alliance, a sentiment it reportedly conveyed during meetings with Pakistan’s civil and military leaderships in Islamabad and Rawalpindi. This already tricky environment has been complicated further by the Saudi-Qatar standoff. Should the split between Iran and Pakistan widen, there is a risk of an escalation of sectarianism in both countries, as well as instability on their borders. Independent security analysts also suggest that Baloch Sunni sectarian elements could receive aid from Saudi Arabia and its Middle Eastern Sunni allies, while Iran could support Baloch separatists, should it see Pakistan as joining the Saudi camp. Officially, Iran has made clear on several occasions that its Chabahar port is not meant to be a rival to Gwadar port, which lies just 72 kilometers away in the Pakistani province of Balochistan. Instead, the two neighboring facilities have been touted as sister ports that could remake the region. Indeed, Iranian authorities have reportedly shown extraordinary interest in the China-Pakistan Economic Corridor (CPEC), stating that Iran wants to be part of it. The reality on the ground tells a different story. “We can cut and slice it in any way we want but despite official denials these two ports are rivals and are being developed as part of a broader regional competition for influence,” said Alex Vatanka, author of Iran and Pakistan: Security, Diplomacy and American Influence. Due to simmering ties with India, Pakistan has flatly denied its neighbor any routes to further its interests in the region, particularly with Afghanistan and Central Asian Countries. New Delhi is developing Chabahar port as an alternative. Pakistan finds growing Indian interests in its neighboring countries intolerable, viewing them as an Indian plot to encircle and isolate Pakistan regionally. Hence, Pakistan views Indian involvement in Chabahar as a threat. Meanwhile, national interests will continue to clash. For Iran’s part, it is well acquainted with China’s ambitious plans, and it does not want Gwadar to be developed by China, the emerging power of Asia. For this reason, Iran sees it as in its own interests to reach out to India, as a balance to China in Asia. Other analysts are skeptical. They argue that Iran sees India as standing with it at the time of the former’s nuclear standoff with the United States. Given that India has already opposed the CPEC projects on many occasions, how can they (India and Iran) join CPEC or think of Chabahar as a complement to the Gwadar port project? Following the lifting of sanctions on Iran that followed a deal struck between the big powers and Tehran to curb its nuclear program in 2015, India has reportedly committed $500 million to speed the development of Chabahar port. “These firms dominate the market for customized equipment to develop jetties and container terminals. One official said the first tender was floated in September, but attracted few bidders because of the fear of renewed sanctions. That fear has intensified since January,” the report added. India, which has developed close ties with Washington, is also fearful of new sanctions on Iran. For this reason, India has reportedly slowed development work in Chabahar. Mirjaveh is a town in Iran’s southeastern province that sits on the border with Pakistan. Historically, Mirjaveh was part of Pakistan, but General Ayub Khan handed it over to Iran during his dictatorship. In recent times, the Jaish-ul-Adl, or the Army of Justice, has claimed responsibility via Twitter for an attack on 10 Iranian border guards in Mirjaveh. Iran’s Foreign Ministry Spokesperson Bahram Qasemi summoned Pakistan’s Ambassador to Iran Asif Ali Khan Durrani to lodge a protest over the killings. “Iranian police said the guards were killed by long range guns and ‘the Pakistani government bears the ultimate responsibility of the attack’,” Dawn reported. “Our soil has never been used against Iran, and we vehemently deny these charges that militants had used our territory to attack Iranian security guards,” said a government official, who asked not to be named. After the incident, a local source claimed that Iranian border guards ventured several kilometers into Pakistan territory, violating its sovereignty. Apparently they were reluctant to leave, with the source telling The Diplomat, “They only went back to their side after few hours.” The Diplomat could not independently verify the claim, but according to Reuters, Iran has warned that it “will hit militant ‘safe havens’ inside Pakistan” if the attacks continue. Iran has built a 10-feet high thick concrete wall reinforced with steel rods along its own shared border with Pakistan’s Balochistan province. Iranian authorities built the fence to prevent illegal border crossings, drug trafficking, terror attacks, and unlawful transportation into Iran. Former Provincial Minister Kachkol Ali Baloch, who was the opposition leader in Balochistan Assembly at the time, claimed that the wall was built against the will of the Baloch people who populate both sides of the border. He tabled a bill in Balochistan Assembly about it. As for the border, he said, it has basically become lawless in recent times. According to senior analyst and author Anwar Sajidi, the growing Saudi-Iran rivalry has seen major changes sweeping through the region. Meanwhile, the conflict in Syria is widening the division between the two sects of Islam, so much so that Sunni and Shia groups from Pakistan are taking part in the fighting in Syria. The Baloch Sunni militancy on the border area can be seen and understood within this context, he said. Local security analysts argue that the Baloch Sunni militancy on the border areas in not a new phenomenon. Instead, it has grown over the years following the Islamic revolution in Iran in 1979. According to Sajidi, Sunni Balochs’ interest in Shiite Iran dwindled following the revolution in Iran. Gradually, this evolved into the Sunni Baloch militancy in Iran, spilling over into Pakistan, too. Jundullah was said to be responsible for the killing of Iranian security forces. However, according to some media reports, the group has expanded its target to include state installations in Iran. Following the execution of Reki by Iranian authorities in 2010, Jundullah is said to have splintered into three groups: the Jaish-ul-Adl, Jaish-ul-Nasr and Lashkar-e-Khorasan. Jaish-ul-Adl is said to be the strongest of these groups, and capable of carrying out attack on Iranian security forces with greater frequency.